Banners & Posters, any size from small to huge! At Spectrum Signs, we design and print all of our banners on quality, durable material that stands up well in the harshest of elements. The edges are hemmed and fitted with metal eyelets. This maximises the strength of the banner. 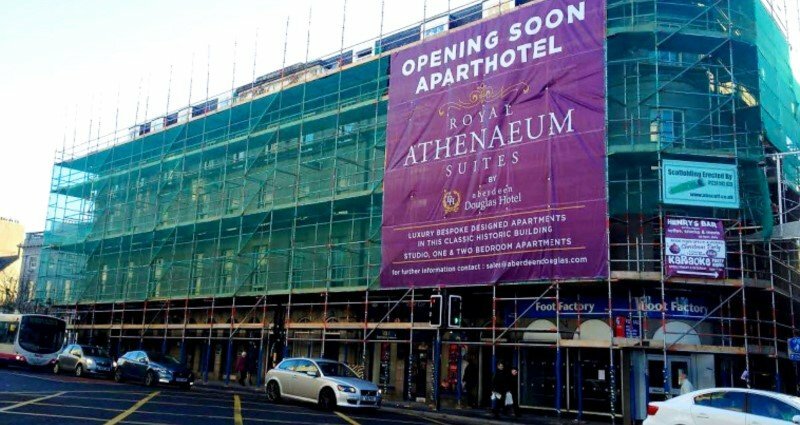 For more exposed locations, we print a perforated banner which allows wind to pass through. We design and print personalised banners for family occasions such as birthdays, anniversaries and christenings, banners to promote sales and special offers, and massive banners for scaffoldings on building developments, motor dealerships or retail parks. 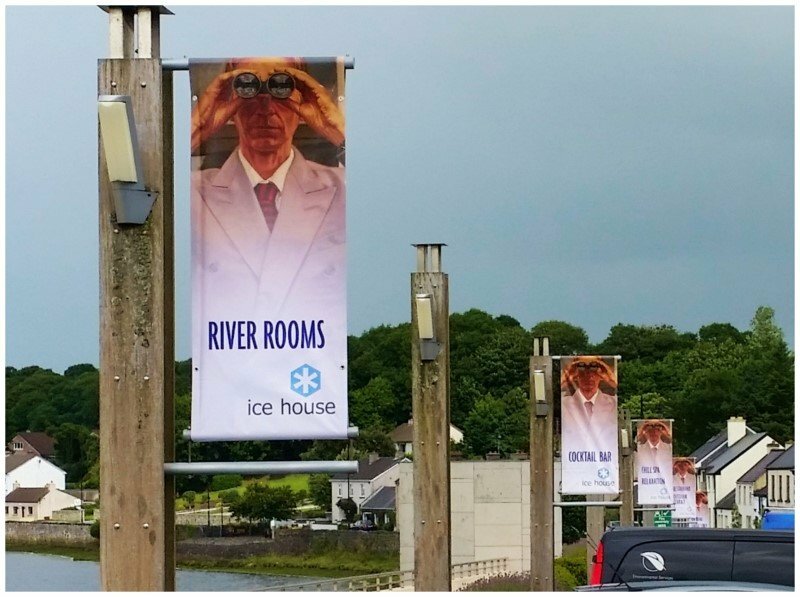 Our banners offer huge promotional benefits for a modest outlay! 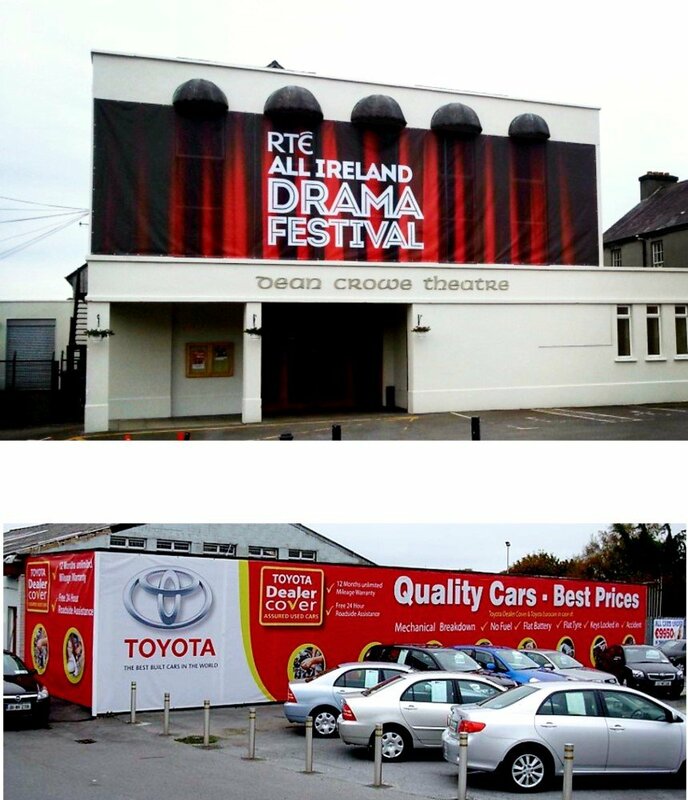 Projecting double sided banners are normally used as an addition to the regular signage in many businesses, often installed above the shopfront on the first floor. They create a strong additional presence that can be easily seen from a distance and from either direction. 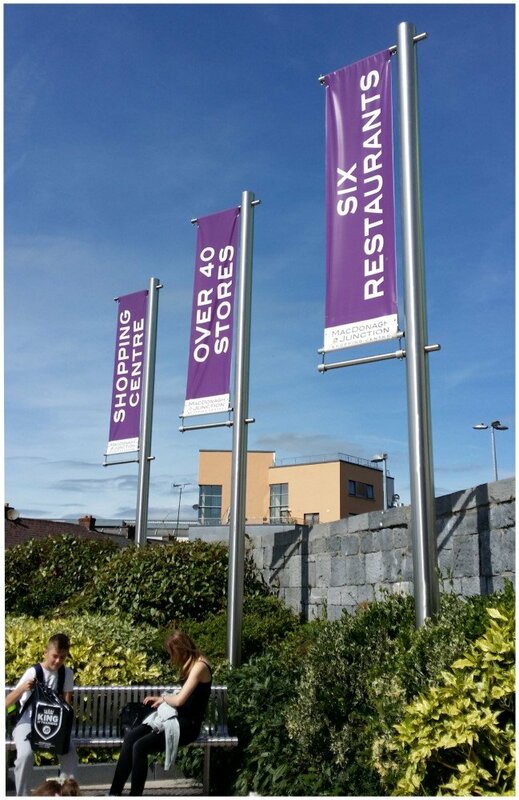 These banners are either wall or pole mounted, with many users taking advantage of existing lamp posts on-site. Our projecting banners are double layered and double hemmed for extra strength. Our mounting braces, complete with tensioning bar, are custom made from mild or stainless steel, powder coated to the colour of your choice. Projecting Banners are easy to change for seasonal promotions! Rotate your banners throughout the year for Spring, Summer, Autumn, Winter and anything in between. 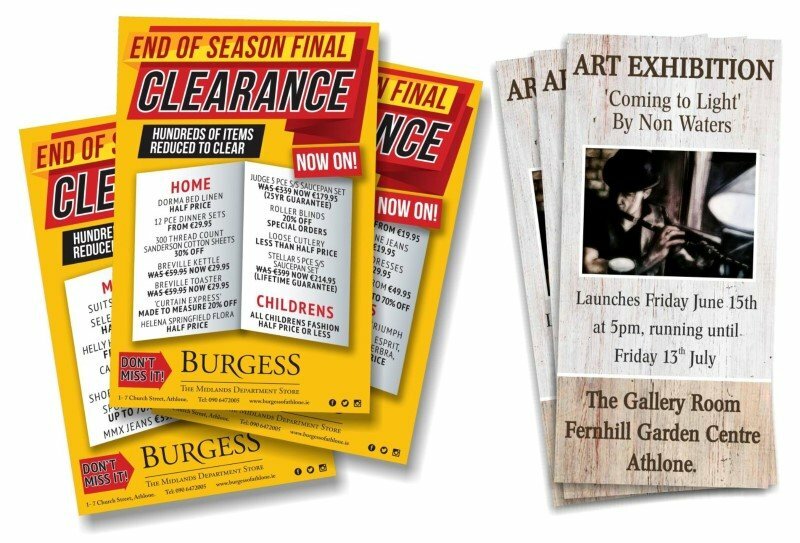 We design and print eye catching posters on quality papers that will help you to advertise any event or promotion effectively. you are not restricted to any particular size or shape format, so you can have your posters designed specifically to suit any space. The quality of our paper will allow you to remove and reuse them as often as you like. Like all of our products, the turnaround time is fast and dependable, so when everything else is in place and you realise that you’ve overlooked your posters, we’ve got you covered!